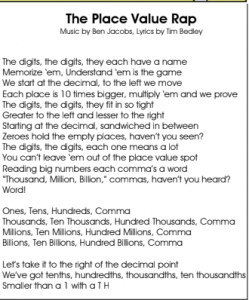 We are currently working on place value and we have a very catchy rap that helps our students remember the places correctly. Below are the words to go along with the video! Sing along with your child!! They love it.